So much of football hinges on that grizzly, prickly word ‘expectations’. Way back in August, I commented that it was going to be difficult to find a reasonably objective scale by which to measure this season, largely in view of the budget cuts. Embedding the diamond and a whole crop of new players meant it was going to be a season of transition, City almost unrecognisable on the opening day bar a scattering of familiar faces. Could we possibly move forwards when so much of the budget was banked on a handful of players, when the transfer kitty was slashed and the core of the squad was so painfully thin with just a day to go? Making a prediction was not only fruitless, but nigh on impossible. Because if the past two years have taught us anything, it’s that convention means absolutely nothing. Looking back, there was only ever going to be one thing that, for most people, would make or break this team, become the defining factor or the irritatingly obtrusive elephant in the room. What characterises the best clubs is that they have an ethos that transcends any manager, any player, any single season. It’s the way they tweak that, change that, build on it but remain true to it, that makes them great. Tasked with dismantling the most successful City side in a decade, Phil Parkinson had to stay true to the tenets on which that success was founded: dedication, bravery, conviction, character. It would be the seamlessness of that transition, the vigour with which the new recruits grew into the shadows of the old guard, which would define this season, rightly or wrongly. Whether they could mean as much to me as Gary Jones did. It seemed a valid criterion, but was a wrong one to pick, in so many ways. Because, ultimately, I’ve not come to see this as a separate team from the last one. I view it as a string of continuity, of one body all pulling in the same direction. This club still is Gary Jones. What happened two years ago has laid the foundations for everything that continues to happen – bar the end of season resurgence at the climax of the first book, there’s so little separating the two tales. Both teams have sent me through the gamut of emotions. Both have made me laugh and made me cry. Both have taught me what it means to be a football fan. I thought I knew, thought I’d seen it all. But some football fans go all their lives and never experience what we’ve had in three years. The past two years have read like a book. Heroes, villains, adversity, triumph. We’ve lived a literary classic, a bestselling children’s story. 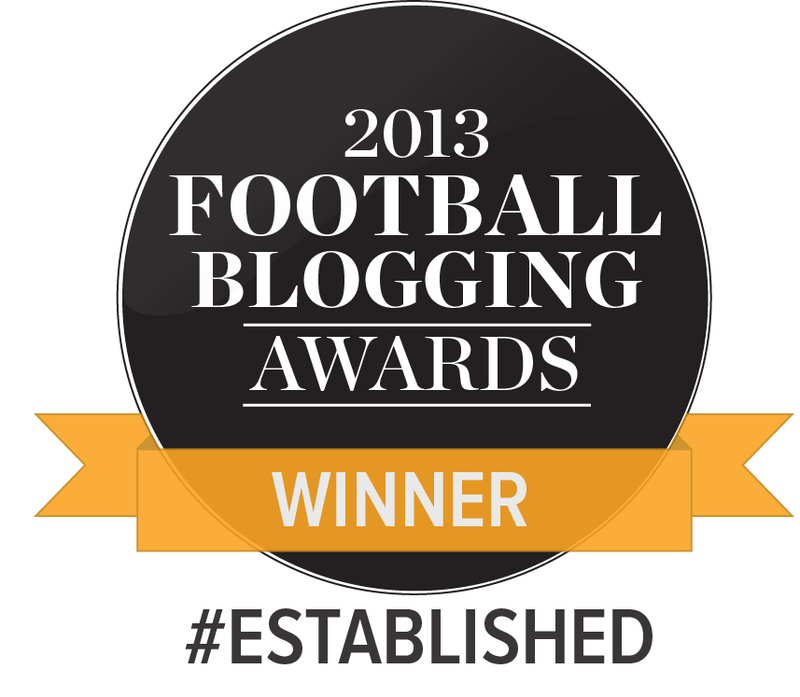 If you were a football fiction writer, we are exactly what you’d write. We are a Disney film. The sterile version of this story would read like, “You had me with those goals at Halifax.” But that’s not the romantic way to write this. This is a wonderfully life-affirming, human story, at its core. Good football is meaningless if you don’t feel it, if you don’t feel them. You have to believe it. It’s all about that bass the emotion. The story of the season is how we all became children once more. With that in mind, there’s only one way you could tell this season: via the great cornerstone of human morality that is, ahem, Disney. We are a fairytale – and here’s our story. Jon Stead was due to spend pre-season with Huddersfield in Portugal. What he got was the lonely rattle of an empty locker, his passport discarded beneath his peg in the Huddersfield Town dressing room. He gave the squad list for the flight a cursory glance. Had he read it right? Cast his eyes over it once more. Then again, then three times, making sure he’d not made a mistake, eyes scattergunning everywhere in the hazy panic. No Jon Stead. His name was checked off the list. He wasn’t going to the Algarve. Four hours down the M1, Billy Clarke was juggling his own woes. Zoning out in the hurt, picking up fragments of words. Thanks, Billy, but no thanks. Surplus to requirements. Good luck and goodbye. End of the road. It was a conversation his future captain had heard two years earlier. Stephen Darby had enjoyed sporadic Champions League appearances for Liverpool, but had been shipped out on loan routinely. He knew what was coming, but it doesn’t mean it didn’t hurt. Anticipation is just a means to numb the inevitable. The same narrative chimes lyrically with so many of the key figures of the past few years. Walking through the figurative hall of fame, glancing at the statues, the shirts glistening in glass cases, and the same story rings true. 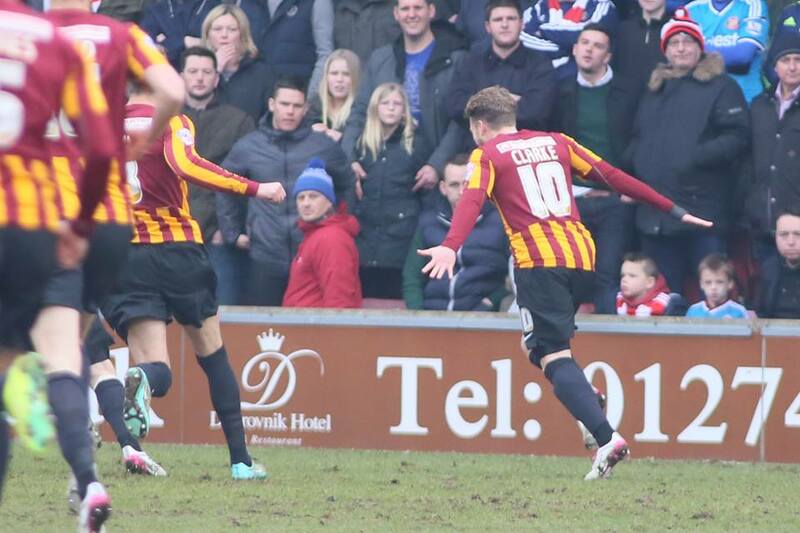 Gary Jones, Nahki Wells, Zavon Hines, Carl McHugh. The same four words, echoing constantly: you don’t belong here. Part-mortal and part hero, Disney’s Hercules is ostracised until he meets, to quote Wikipedia, the man “who is known for training heroes.” That character, unbelievably, is called Phil. There’s a narrative that cup ties are supposed to follow, that cup ties routinely follow. Part-time plumbers and waiters have a nice day out at Arsenal. League Two club host Liverpool and welcome the TV cameras for a day. The press find a rag-to-riches story to tag onto, the big boys field a second string team, the smaller clubs dream for a day and that’s it. Said lower league team makes a shedload of money, looks threatening for a bit, then the superstars come on when things get edgy and it’s all over in ten cruel minutes. That’s the status quo. That’s how it should be. Them and us. Cocktails and glitter set against a harsher reality. In the wonder of youth, yet to encounter reality, I expected us to beat Arsenal. Not expected, as such, but hoped. That demeans that night slightly, but I was 15, high on Starbursts and relishing every single second I got to watch that team – such an assertion was inevitable. You could envisage some form of ludicrously possible scenario, however thin the slither of light was. Keep calm and take it to penalties. You could rationalise that. It’s stretching the definition of ‘rationalise’ slightly, but, for the sake of the premise, you can. I didn’t go into that Chelsea game expecting to win. Truthfully, I didn’t want it to come. My imagination was too steeped in dreaming, too steeped in nostalgia and hope, to willingly surrender to time and actually live through that 90 minutes. In my heart, in my wildest, most fantastic dreams, we could play like Liverpool, Barcelona, Manchester City. Lying in bed at night, letting sleep take me, I’d seen Jon Stead looping the ball over the back line, Morais rampaging in from the middle, Halliday soaring free on the flanks. I didn’t want to corrupt that. I couldn’t let reality tarnish that. Listening on the radio, the ignorance was tortuous. Ramires made it two and that should have been the end of that. In my mind’s eye, I saw Gary Liddle fix his eyes on the ground and a six flash up on the Stamford Bridge scoreboard. One goal down and they had a chance; with two, it was game over. No one comes down from two goals at Stamford Bridge. Stick to the status quo. The thing I love most about this team is that they literally just don’t care. 2-0 down to the Premier League Champions, away, in the FA Cup, after forty minutes, with an agonising fifty minutes still to wade through – there was only one way that could go. Everything in the world points towards one singly defined outcome. League One teams shouldn’t do what happened that day. No team should do what happened that day. Jon Stead, the same player exiled by Huddersfield six months prior, finding all the space in the world, dummying Ramires and striking the ball into the top corner. James Hanson leaping beyond an overloaded Andreas Christensen. Jon Stead fending off Gary Cahill, swivelling like on a pivot, laying off for Andy Halliday to strike home to immortality. The first club to win at Stamford Bridge all season. The first side to ever surmount a two-goal deficit and beat a Mourinho side there. I could go on and on and on and on. 2-0 down to the Premier League Champions, away, in the FA Cup, after forty minutes, with an agonising fifty minutes still to wade through – there was only one way that could go. Everything in the world points towards one single outcome. League One teams shouldn’t do what happened that day. But we did. Us, with our rag-tag, misfit, hastily assembled team of the players that time forgot. Getting the chance to be heroes, to live the life on the other side of the coin. Doing it for real. With us. United. The best thing about the cups, about this club, is that they stop time and shut out reality. They let you believe in the impossible. That night after Sunderland, watching us strut about Valley Parade on Match of The Day with all the confident swagger of a unit ten times our prowess, our own endless sky of diamonds stretching out to veil the night. Billy Clarke. I don’t think I can describe how I felt when I saw that ball filling the net. The incomparable elation was mind-blowing, sheer joy rising from my stomach and electrifying the skies. There was no way we weren’t going to win that. I knew, you knew – I think the world just knew. This season was a success because it let us dream again. Because it let us soar, tumble and freewheel towards history and infinity. There were moments this season where I was feeling things I forgot football could let you feel. The first time I met Phil Parkinson, on the sidelines before a game against MK Dons last year, I lost the ability to form a coherent sentence. I couldn’t muster anything to describe the dreams he paints every day, this world he’s dragged us into. What do you say to the man that gave you the best thing you’re ever likely to see on a football pitch? “Can I have a cuddle?” apparently. It shouldn’t have been like that. As Gareth McCleary meandered in from the right flank and conjured that shot, out of nowhere, and the ball soared tauntingly through the air, as if on a string, City looked on, helpless. In the context of the tie at that point, and after the gutsy staring contest that was the first round, to concede a goal like that, so early on, was the worst possible start they could have had. You hoped, hoped, that the second half would have been different, that the Bantams could have come out firing on all cylinders, but then 68 minutes happened to kill the final desperate flicker of hope. It wasn’t how it was supposed to be. But it didn’t hurt. Hurt feels like the wrong word to use for that night. Disorientating, maybe. Having to re-live Swansea. Having to go back to the bread and butter, the return admittedly not hurting this much after the practice of two years ago. Back to the grind, back to reality. Back to what we really are. As the routine texts and tweets from the kids in my class trickled through, the usual need to prove something melted away. Suddenly, I didn’t feel like I needed to come up with excuses, to justify what had happened. That result wasn’t what mattered – it was never going to. 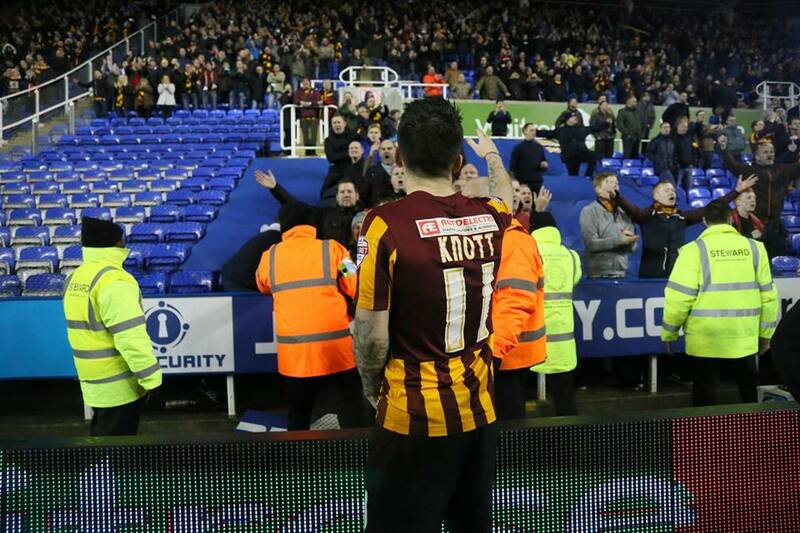 It was us that mattered – Bradford City, what we mean, what we stand for. I didn’t feel anything, in fact, but pride. Pride in them. In us. In our club. For who we are. For what we do. For how we do it. I’m so glad we got to dream. That we got to be what we’ve always wanted to be, what people tell us we can’t be. Everything that happened from January 14th to that night at the Madejski shouldn’t have occurred, not ever. But it did. And it was us. It was us, in some bizarre, improbable, inconceivable, unimaginable, perfect but totally true reality. I see the likes of Hazard, Kane, Sanchez and Aguero splashed over the newspapers every day, lighting up Match of the Day on a Saturday night, in slow motion and with red rings around them on Monday Night Football – and I’m never, ever jealous. When I hear my schoolmates dissecting the Premier League action from the previous weekend, all I can do is smile. We might not have record-breaking hat tricks here, in League One, or Diego Costa; but we also don’t have the farcical media circus, the glass ceiling, the distance between supporters and players – or the need to play crowd music to mask an eerily silent home support. 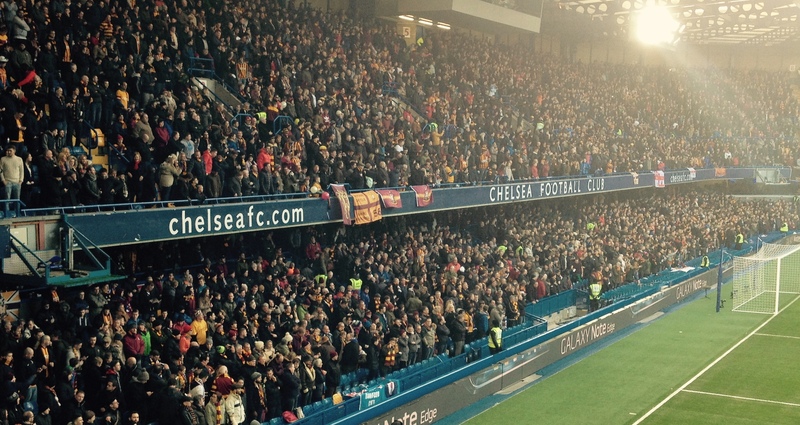 I don’t feel jealous, because I see my heroes in the flesh every week, doing their thing; I go down to Valley Parade and become a part of the biggest, loudest family in the Football League; my club can reduce me to tears with a goal against Sunderland and a game at Stamford Bridge and the emotions from those days never, ever fade. That relationship, that intensity, means more to me than any wondergoal from any faceless superstar ever could. It always will. That result against Reading, that night, was never going to change how I felt about this team. Because look at how far we’ve come. And look at how far we will go. Making history. Everywhere we go. Katie Whyatt, you are a star in the making. When you are lead football writer for a national daily we will all look back fondly at the brilliant formative pieces you wrote for this excellent site, encapsulating all our joy and wonder. This should be printed up on a poster and put up in every School across the city – I can’t think of a more perfect way of capturing the imagination of future generations of supporters than how you express the spirit of being a Bantam! This is why we do what we do, in the way we do it, and why it means so much to us. Are you reading James Mason? Having the lyrics to High School Musical associated with my football team upsets me somewhat! What next Nakhi Wells departure being compared to that of Zayn leaving One Direction? 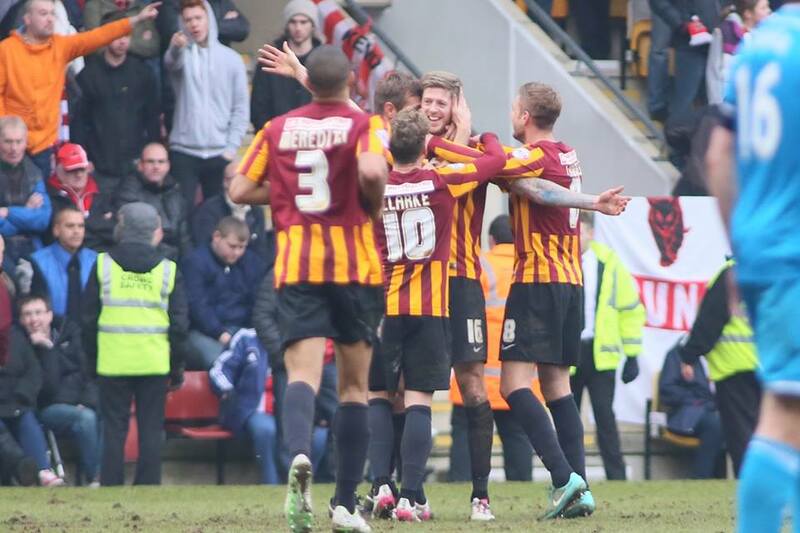 Bradford City are quite the opposite of modern pop culture! Lovely read Katie, although, ‘The cold never bothered me anyway’ would have fitted well for the Arsenal game perhaps? Oh Katie you articulate what we all feel. Being at Chelsea and sharing that moment with my son- wow! Walking out of the ground to find texts a plenty from friends family and colleagues wow! To sum up last season and not even mention the warm August night against Leeds wow! How we have grown!